Rinse, core, and slice apples. Sprinkle apple slices with cinnamon and place in a microwavable dish. Add maple syrup. Cover the dish with a lid or microwavable food wrap and microwave on high for two minutes. Stir and microwave for an additional minute or until apples are tender. Spread 1 tablespoon of cream cheese inside each pita pocket. 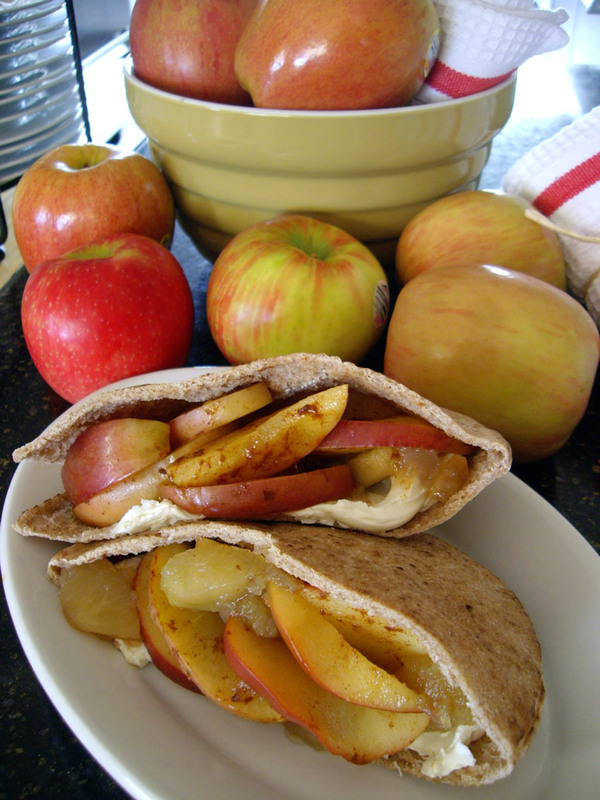 Divide apples into four equal portions and scoop into pita pockets.